Three home wins in a row and Cardiff City are well and truly making people sit up and take notice of them this season. It was a brilliant win – one that City thoroughly deserved. They were the better side and created lots of chances. Cardiff City lined up in a 4-3-3 system that served them so well last year and it brought a much better balance to the side (more on that to come). A midfield three saw Aron Gunnarsson sitting, with Harry Arter and Victor Camarasa playing as box-to-box midfielders either side of him. Southampton lined up in a 4-2-3-1 system for their first match under Ralph Hasenhuttl, with Mario Lemina the most advanced midfielder for the Saints. Cardiff fans have grown accustomed to Neil Warnock’s side not dominating possession, and that was the case again on Saturday. What will please Warnock and the City faithful will be the number of chances the City created and how often the side threatened Alex McCarthy’s goal. While Cardiff have done well in recent months, there has still been a feeling that Neil Warnock is yet to find the winning formula. He’s chopped and changed, trying to find the right players and the right system. On Saturday, it just felt right. There was a much better balance to the team, with players playing in their natural positions (bar Callum Paterson of course!). Victor Camarasa played centrally and he was able to dictate the play on so many occasions. With Gunnarsson sitting, Camarasa was free to find space and drive through the centre of the pitch. Having natural wide-men helped, too. Josh Murphy and Nathaniel Mendez-Laing occupied the flanks and both were a key outlet for Cardiff. Warnock likes pace out wide and it’s clear to see why. The wingers provided Cardiff with an outplay and allowed the Bluebirds to hit Southampton on the counter-attack. They were both a useful weapon throughout the game. Much was made in the buildup to the game about whether Southampton would aggressively press Cardiff’s players. New manager Ralph Hasenhuttl favours a pressing game – much like his former Bundesliga rival Jurgen Klopp – and while Southampton showed signs of pressing early on, it was Cardiff that dominated the press. Callum Paterson pressed all afternoon, as is to become expected and even forced the winner by capitalising on a Vestergaard mistake. The wide-men did their part too – as did Camarasa. One man was crucial to Cardiff’s press, though, and that was Harry Arter. The on-loan Bournemouth midfelder absolutely bossed the match, winning tackles and dictating play throughout. Arter completed 5 tackles and set the tempo for Cardiff’s pressing. With Cardiff pressing Southampton aggressively, the Saints failed to create too many clear opportunities; getting just one shot on target of Neil Etheridge’s goal. Spending much of the match under siege, Southampton were unable to generate any sort of build-up play and would often throw aimless crosses into the box. That’s bread and butter for Cardiff City, who absolutely dominated the aerial battle. Cardiff won 25 aerial battles, with Sean Morrison winning nine of those by himself. Sol Bamba (three) and Bruno Manga (two) won a further five, meaning that Charlie Austin was on slim pickings all afternoon. At the other end, Cardiff were able to cause problems in the air for Saints. A good chunk of captain Morrison’s aerial duel successes would’ve come in the opposition’s penalty area, while goalscorer Paterson won eight of his aerial duels. Two of Cardiff’s most dangerous players were on top form, which was a crucial aspect of the win on Saturday. Josh Murphy and Nathaniel Mendez-Laing are both fast and direct runners, which gives Cardiff an out ball. That’s exactly what happened on Saturday and it’s such an important aspect of Warnock’s tactics. With Cardiff having so little possession, they need to be able to transition quickly from defence to attack and the wingers allow them to do that. Southampton were ‘dribbled past’ 15 times, with Murphy and Mendez-Laing having great success. Murphy, in particular, caused young full-back Yan Valery problems, with the 19-year-old substituted at half-time on a yellow card. Despite Southampton having a monopoly on possession, Cardiff dominated the game all over the field. 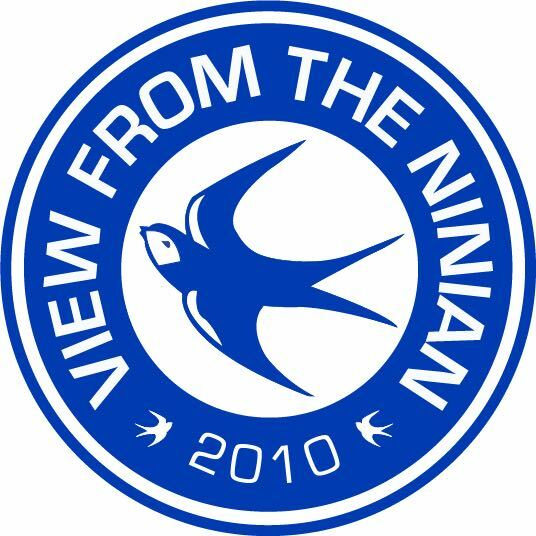 In the air, on goal and on the press, the Bluebirds were simply outstanding. What was perhaps most pleasing was that Cardiff have finally found the right balance. In attack and in defence, the Bluebirds looked well balanced and had the right blend. It’s only up from here.